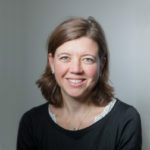 Saskia van Drunen specialises in the impact of extractives and energy sectors on the rights and livelihoods of local communities, with a special focus on fragile and conflict-affected areas. Before joining SOMO in 2016, she worked as a consultant, conducting research, policy development and strategic planning for human rights and peacebuilding programmes and organisations. Saskia studied history at the University of Utrecht, where she specialised in Latin American Studies. She holds a PhD from the University of Amsterdam. Her dissertation offers a detailed account of the history of the human rights movement in post-dictatorship Argentina (1983-2006).